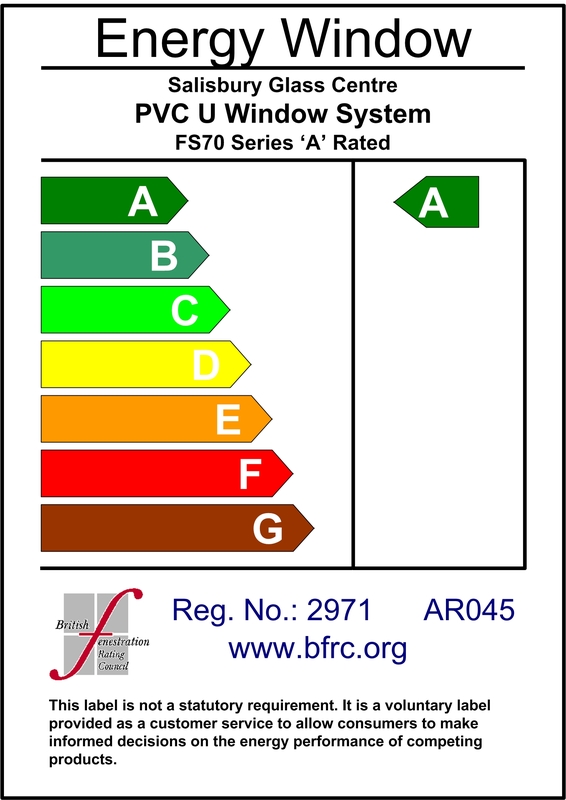 Window energy ratings have been designed to simplify the specification of windows for the consumer and as with electrical goods the traffic light label system has been implemented so it is easy to see how well a product performs. All our products have been tested with comprehensive simulations that calculate how much energy is lost through the window and how much is gained from solar gain, this then gives us the overall WER rating of the window. WER's range between A and G and the minimum requirement for replacement windows is an WER rating of "C" and the best is "A". Normally the increase in performance from a C rated window and an A rated window is obtained by the use of Low Iron Glass in the external pain, this has higher solar gain properties or "g" value and because this allows more heat to enter the building this reduces the amount of heat required to heat the room. This calculation is based on the insulation properties of the window and it makes no allowance for possible solar gain, the U value required for replacement windows is 1.6wpm2k. This figure can be reached or increased in most products in many ways by altering the glazing specification and construction of the window. Triple glazing can be installed into most products and will provide a large increase in the insulating properties (U value) of the window and at the same time it will provide a window which has better sound reduction properties than standard double glazed units, however it is important to remember that the extra pane of glass required for triple glazing can cause issues with a reduction in solar gain, light transmission and increased weight can limit the size of opening casements. Should you live in a noisy area such as by a busy road or railway line and you require some form of sound reduction from your windows we can supply you with specialised double glazed units manufactured with Acoustic laminated glazing, this can give you improved sound reduction and security than triple glazing at a reduced cost. Should you have some windows which are hard to access for cleaning such as above conservatories, extensions or in the gable ends of your home we are able to install self cleaning glass in these windows and due to advances in the manufacture of this glass the self cleaning properties are actually part of the glass itself and not as they have been in the past a coating on the surface that can damaged or worn away. All replacement windows now have such high insulation levels that on occasion you will see a film of condensation on the external surface of the glass, this is caused by the insulation of the double glazed unit preventing heat from passing through the unit to the external pane and evaporating the moisture on the external surface, this will vary depending on the elevation the window is on the house and how much wind and sun the window gets. there is nothing that can be done to stop this as it is a natural occurrence but I does show that the insulating properties of the glass are working correctly. Sometimes you will get condensation on the inside of the glass and the frames, this is caused by several reasons and is not a fault of the windows or the glass. Houses that are well insulated and air tight have very little uncontrolled ventilation and due to this moisture in the air builds up and when the air cools it shows itself as moisture which will appear on the coldest item in the room. This is normally the window or door and the only way to prevent this is to increase the ventilation in the room to allow the moist air to escape, this can be carried out using trickle ventilation or by opening a window to allow a rapid change of air in the room. New properties or extensions will take many months to dry out completely after they are finished and the moisture will continue to show itself until this has happened. Any condensation that shows inside the unit means that the seal on the unit has failed, this may disappear for a short while in hot weather but it will return and the only way to deal with this is to replace the unit with a new one.